Generations For Peace, the brainchild of HRH Prince Feisal Al Hussein, is a Jordan-based global non-profit organisation that uses sport, the arts, advocacy, dialogue and empowerment to help instil tolerance and peace among people in areas of the world experiencing conflict and hostility. JTA has been supporting Generations For Peace for over a decade. Having played a pivotal role in the development and launch of this IOC-recognised organisation, JTA continues to offer support by advising on overall communications and international relations, particularly within the Olympic Movement and wider sports movement. Thanks to a global network of non-profit, charity and sport business media contacts, JTA can ensure maximum exposure for Generations For Peace by passing inspiring stories to international media outlets around the world. The latest projects facilitated by JTA include HRH Prince Feisal Al Hussein’s interview with Associated Press regarding his organisation’s role in teaching people about tolerance, and his interview with Bloomberg about the world refugee crisis. JTA has also worked with Generations For Peace to establish international brand awareness through the Huffington Post, Daily Mail and Yahoo News. More than a decade of hard work, along with JTA’s support, has meant that - in 2016 - Generations For Peace was ranked 35th in the “Top 500 NGOs in the World” by NGO Advisor. 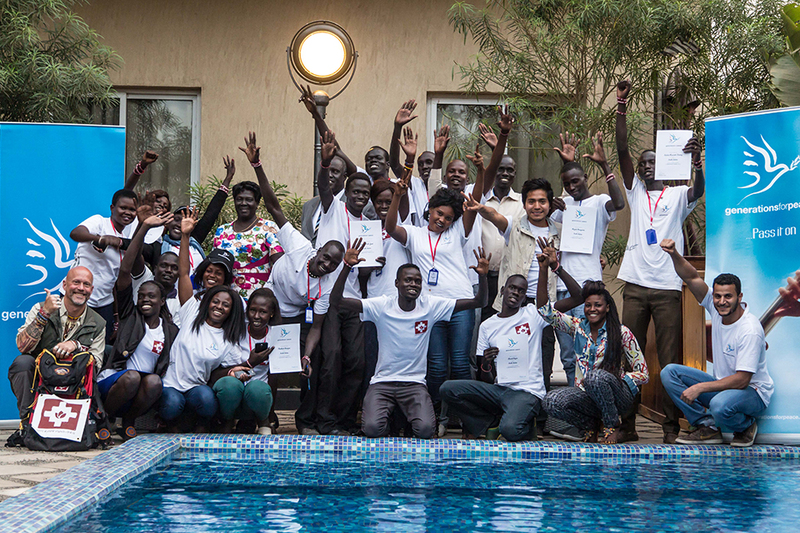 The organisation has now trained and mentored more than 9,000 volunteer leaders of youth in 50 countries in the Middle East, Africa, Asia and Europe – touching the lives of more than 230,000 people. Mark Clark, Chief Executive Officer of Generations For Peace. 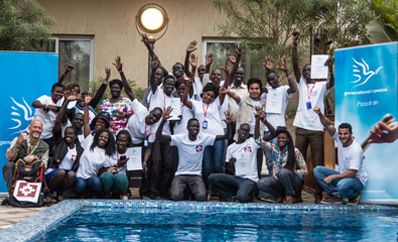 Generations For Peace delegates and volunteers in Juba South Sudan. 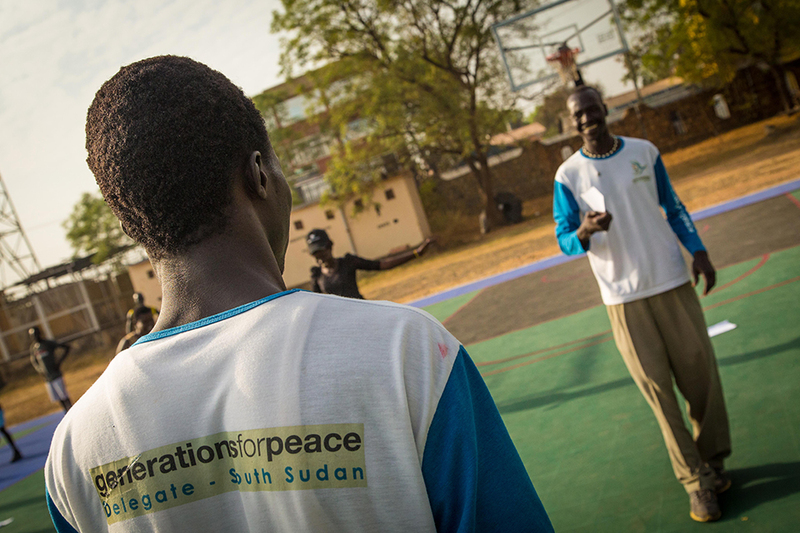 Generations For Peace Delegates in Juba South Sudan.